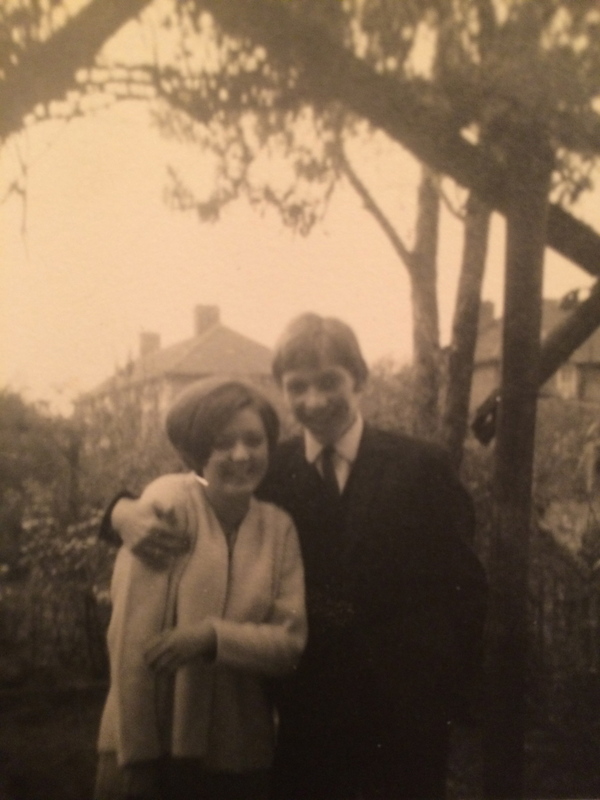 Photo: My mum and dad very very many years ago.. I have just spent a lovely weekend celebrating a school friends 40th Birthday party, catching up with my old school friends complete with our neon accessories and leg warmers for her 80’s themed night. She is the first in my school year to celebrate and there are many more to follow, mine will be in April next year… judging by this weekends party I need to start planning as I have much to live up to. As yet I don’t feel a mid-life crisis coming, no need it seems life crisis’ find me whether I like it or not, so no need to buy the red sports car just yet, or embark on a new exciting relationship? Oops correction have already started this one! Last week October 4th was the anniversary of our school friend who sadly lost his battle to cancer 2 years ago, so a bottle of prossecco was opened at saturday’s party in his memory and we all danced to 2 of his favourite songs on the dance floor, an emotional anniversary for us to remember and time to reflect on our own lives. October also starts with my wedding anniversary which this year was strange as obviously it is not a date I wish to celebrate but nether less it is still a date that is remembered so does it still count as being called an anniversary? Some people and times we wish to remember and others we prefer to forget, when it comes to my marriage recent unhappy years I choose to forget but I look back at my wedding day fondly and remember that sense of optimism and excitement that I had starting out on married life. We both had every intention of growing old together and having one of those 60th wedding anniversary parties that older couples have, unfortunately we became a lot of ‘worse’ and eventually no ‘better’ so it became time for us both to move on. It seems we all have events in our lives that every year we choose to remember in our own way, an anniversary is very much about remembering if not necessarily celebrating, there are many dates in the year that we remember some are happy ones and some not so much. Tomorrow is October the 13th this was the day that 9 years ago I was first diagnosed with Breast Cancer, good as its 9 years but current complications make me feel uneasy about celebrating that fact, I reserve my judgement for the moment. One particular anniversary is like a dark cloud forming around mid October time that often comes up behind me before I realise the time is when my mum was diagnosed as terminally ill with cancer and had only a few months to live. I’m not the only one to have dates in my life that test our ability to deal with the emotions they bring, however it seems I am also not alone in this year forgetting this anniversary and it almost passing me by without my recognition. This is the first time in 17 years this has happened and I feel guilty just like the husband who forgot his wedding anniversary, I have been distracted with the better things happening in my life but I am sure my mum would forgive me just the once. It seems as time passes the bad things are remembered less and overtaken by the good and happy memories, less the date she died and more the date she was born.